Two extraordinary true stories examine foreign policy, rescue missions, and the will to survive. The Desert and the Sea: 977 Days Captive on the Somali Pirate Coast, is Michael Scott Moore’s memoir of his three years of captivity by Somali pirates, while Stephan Talty’s Saving Bravo: The Greatest Rescue Mission in Navy SEAL History tells the untold story of the most important rescue mission of the cold war. 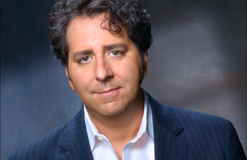 Mark Rotella moderates a conversation between the authors at the Montclair Library Auditorium, 5:15 to 6:15 pm. An effortlessly artful blend of travel book, memoir, and affectionate portrait of a people Calabria is the toe of the boot that is Italy—a rugged peninsula where grapevines and fig and olive trees cling to the mountainsides during the scorching summers while the sea crashes against the cliffs on both coasts. Calabria is also a seedbed of Italian American culture; in North America, more people of Italian heritage trace their roots to Calabria than to almost any other region in Italy. 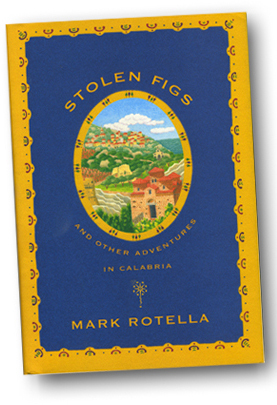 Mark Rotella’s Stolen Figs is a marvelous evocation of Calabria and Calabrians, whose way of life is largely untouched by the commerce that has made Tuscany and Umbria into international tourist redoubts. A grandson of Calabrian immigrants, Rotella persuades his father to visit the region for the first time in thirty years; once there, he meets Giuseppe, a postcard photographer who becomes his guide to all things Calabrian. As they travel around the region, Giuseppe initiates Rotella—and the reader—into its secrets: how to make soppressata and ’nduja, where to find hidden chapels and grottoes, and, of course, how to steal a fig without actually committing a crime. Stolen Figs is a model travelogue—at once charming and wise, and full of the earthy and unpretentious sense of life that, now as ever, characterizes Calabria and its people.